One of Ian Norman’s examples of an image that would be affected by the ‘Star Eater’ noise reduction filtering. 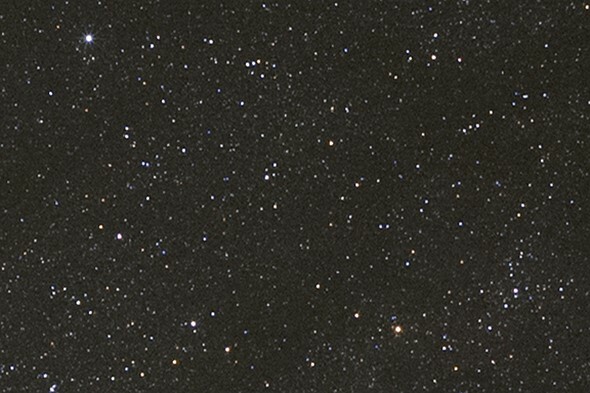 Astrophotographer Ian Norman from website Lonely Speck has written an open letter to Sony over its use of spacial filtering that can obliterate small stars in long exposure photos. The phenomenon has been identified on the DPReview forum and characterized by contributors including Jim Kasson. Rather than just the usual long-exposure noise reduction (which takes a second, ‘dark frame’ exposure to identify hot pixels), Sony’s pre-Raw processing applies a level of ‘spacial filtering’ to images shot for over 4 seconds. This can mis-identify small stars as faulty pixels and process them out before the Raw file is written. Norman says he no longer recommends the use of Sony cameras for Astrophotography.